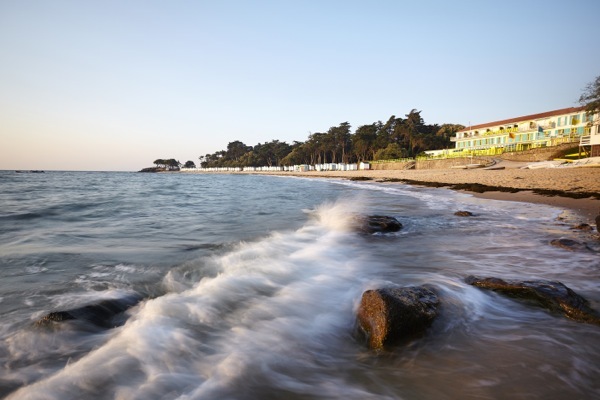 The island of Noirmoutier is the ideal destination for your stay in our campsite. About twenty minutes from your campsite, access to the island is open to you either by bridge or by the Gois, summersible the road that we borrow at low tide. This unique island has many faces that are sure to inspire. 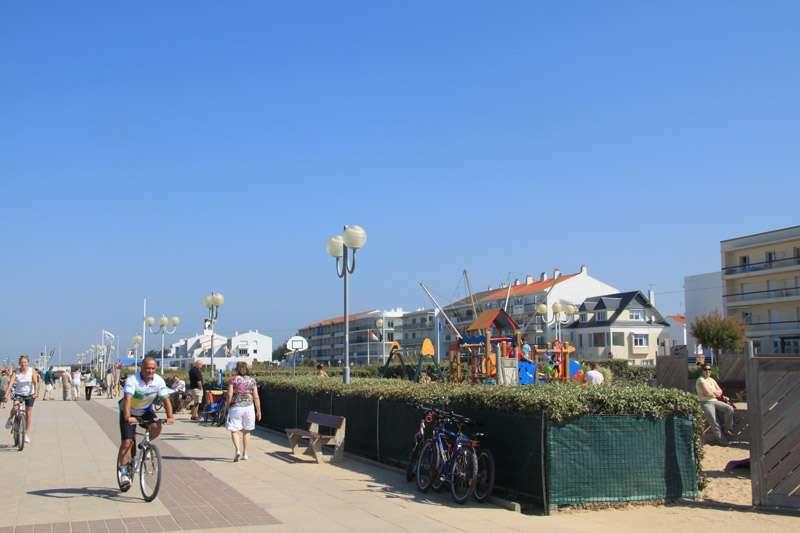 In one day, you can roam its bike paths through the cycle paths in the swamp or go around and explore its villages and beaches. 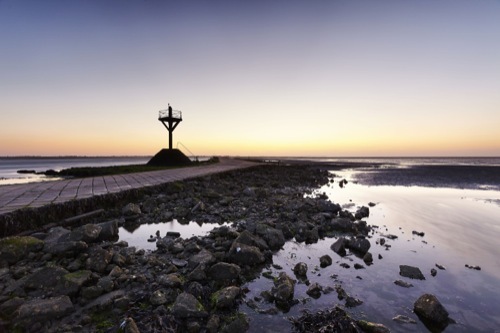 The bridge was inaugurated in 1971 to open up the Passage du Gois, the island is a major tourist destination. When crossing the bridge you will not fail to admire the exceptional view of the bay Bourgneuf extending the distance, recognizable by its windmills in the foreground with the Gois and wooden tags. The entrance to the island is by La Fosse, dunes lined with pine trees, open ocean. I advise you to avoid four track and back up the tail of the island by the county 95 small road that will take you to the village of Barbâtre, small town that boasts of its three mills, the tank, the Plain and Vieux-de-la-Frandière and the beach of the south, the longest of the island with its 5 km that stretches to La Guérinière. 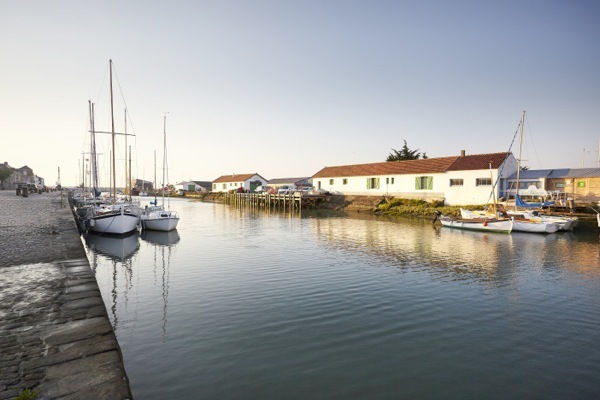 This village is home to the Museum of Art and Traditions and adjacent to the Port du Bonhomme dedicated to oyster farming. 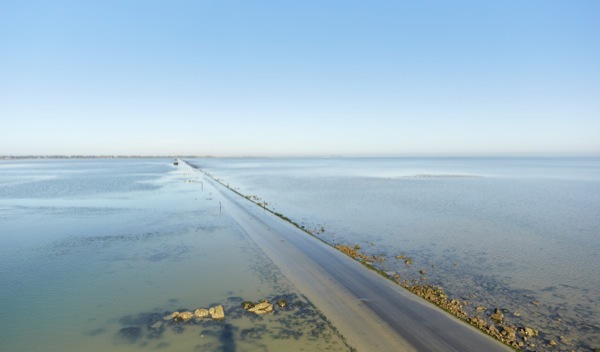 After walking on the sandy beach where mussels, are visible at low tide, you can take the road towards the town of Noirmoutier. 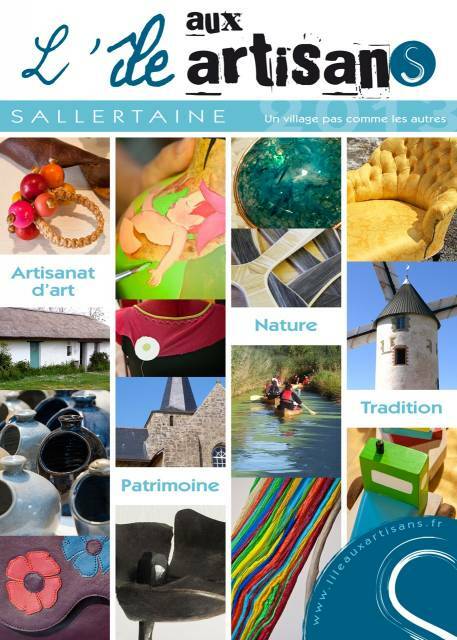 Historical center of the island, Noirmoutier has the most beautiful monuments, witnesses of its rich history: the castle, the hotel Jacobsen, St. Philbert church, Boucheron hotel that was the seat of Customs in the nineteenth century. Indeed, in the late seventeenth century, the island, like Yeu or Re, exempted franchises, are contraband tobacco landmarks including through trade qu’instaure Louis XIV in the Caribbean buying tobacco will resell the high price in Europe. The castle is exceptional as it is one of the few to have kept its architecture from the twelfth century without having undergone any transformation. Originally built with only one dungeon by the Lord Stone of Garnache, its massive silhouette acquires thereafter four dungeons. Protector of the island over the centuries it was always occupied by garrisons and thus maintained condition. Prison for many during the Vendée wars during the Revolution, it also served as a prison to a succession of men, intellectuals in 1914 of common rights in 1940. During the occupation it was transformed into supply center for troops German before them after the Allied victory will be locked. A museum inside the castle enlighten you on its long eventful history. Numerous times destroyed during the history, Saint-Philbert church was always rebuilt and transformed. Under the choir, it houses a crypt containing the relics of St. Philbert. In the castle district, do not miss strolling through the neighborhood of Banzeau, maze of narrow streets of this ancient land of fishermen. Their homes are the characteristics of the island, white with blue shutters with walls flowered hollyhocks. Here the street names has a story like “The street Three Drunks” where clients are relieved after passing watered at the local bar. Along the dike Jacobsen is the natural reserve of Murembourg nesting many bird species that come to feed on small marine animals brought by the flow of the tides in the salt marshes. 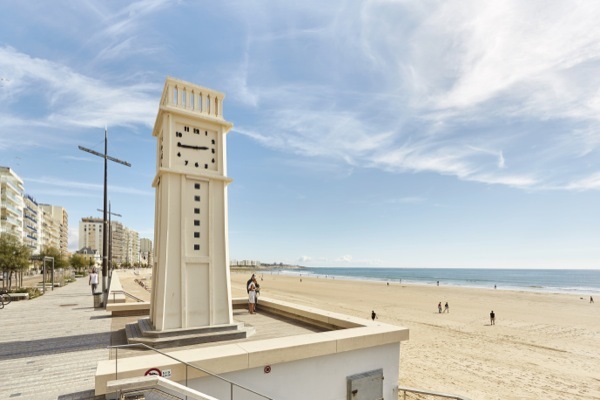 The island enjoys thanks to marine currents of a mild and sunny climate that is visible while walking in the Bois de la Chaize where vegetation compares to Mediterranean forests. 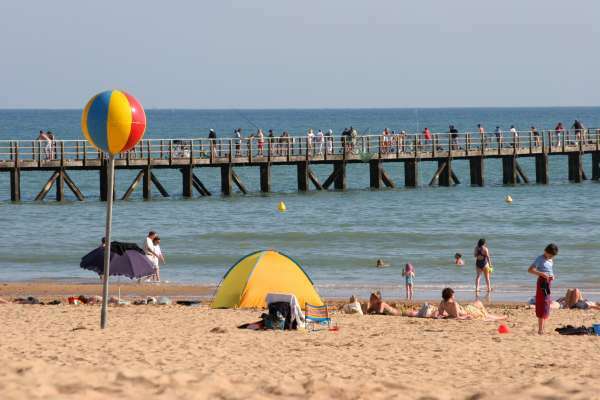 The walk starts at the Plage des Dames, known for its chic environment and its pier where the boats came through liaison between Pornic and Noirmoutier. The path of the wood overlooking rocky coves on blue sky background. The view is enchanting in every step. Then you come out onto the red Anse a lighthouse where you do not expect to draw! 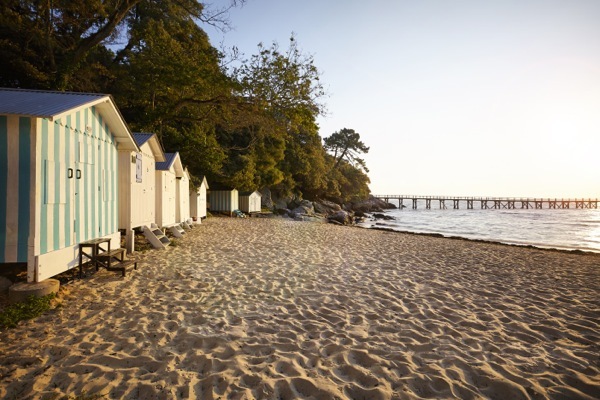 The small beach of the same name famous beaches is lined with booths on all the postcards. Finally, Souzeaux beach unfolds on an open sea lane bordered the most beautiful villas. It is a step back in time, in the nineteenth century, when the great bourgeois rush to take advantage of bathroom range, very fashionable. They built beautiful houses that now provide great architectural character to the island. The range of the following Clère, large bay that joins the authentic village of Viel where nothing seems to have changed. Again small streets crisscross the village overlooking the sea. One of the most charming places of the island. Even further the range of the Madeleine and that of Blanche where you can admire the ancient Abbey. 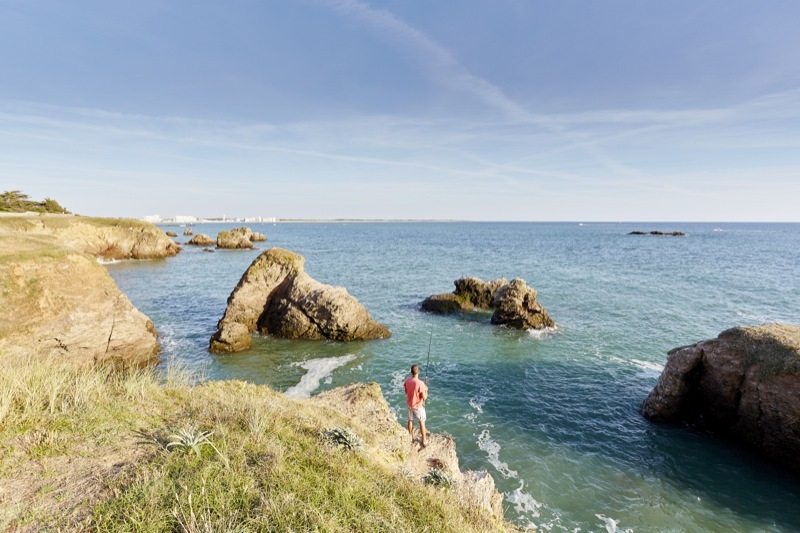 Catching Herbaudière, true fishing port, the largest producer of Atlantic sole, built overlooking the ocean, where you can attend the auction when the boats return clad in their colorful flags. 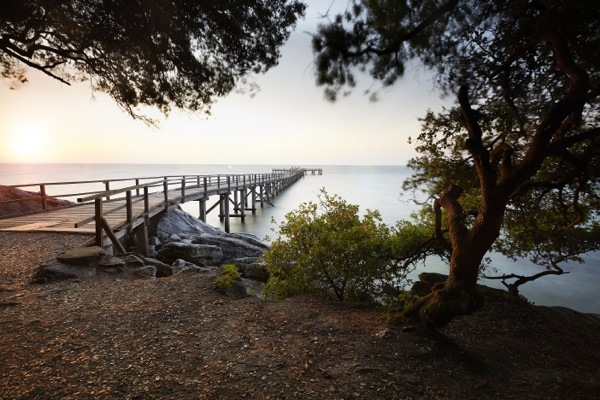 The range of the Luzeronde, west of the port is a long wild beach where the ocean spray replenish you! 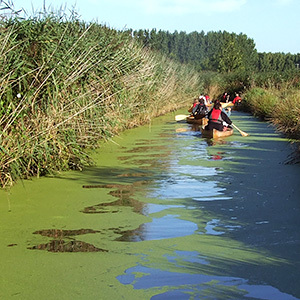 The tour ends in the village of Thorn surrounded salt marshes. 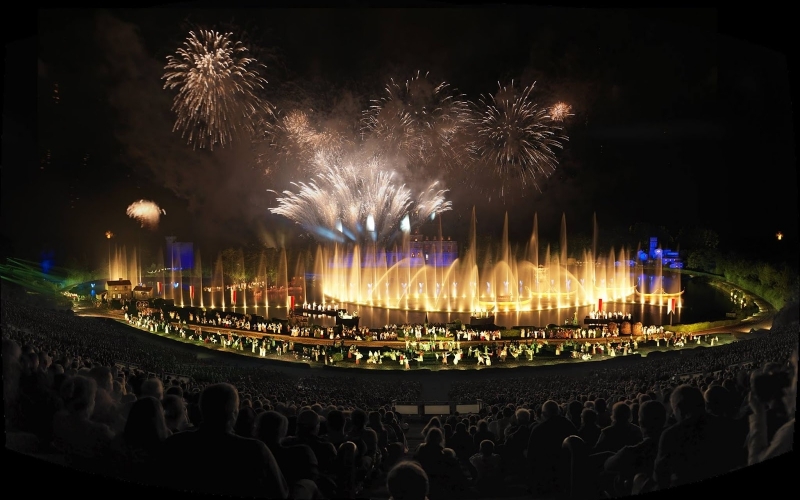 Tourism has revitalized the economy of this activity. The salt marshes in addition to their economic function, be visited and marsh will be happy to explain the salt of the production cycle and to show you the traditional gestures of that old back in fashion business. 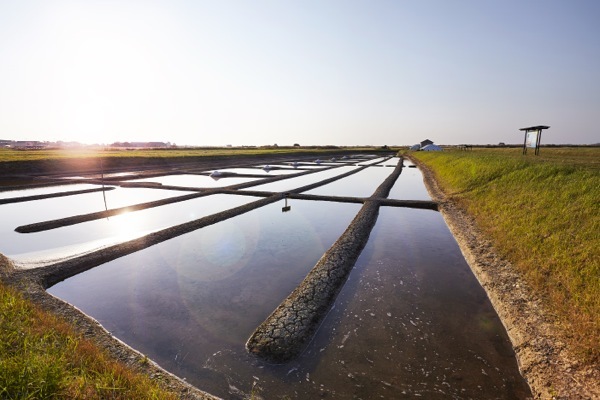 You can buy their products, salt, fleur de sel or even salicornia, small plant of the marsh subtle taste that resembles the pickles. 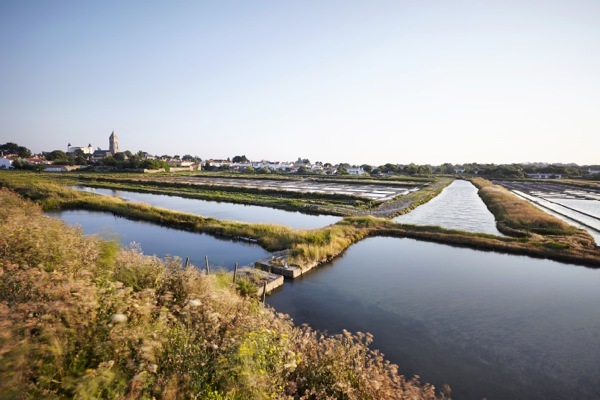 Do not miss during your visit to sample the “BONOTTE” small potatoe exceptional land that does occur at Noirmoutier and delicious with any dish. It is now time to take the road to your campsite. 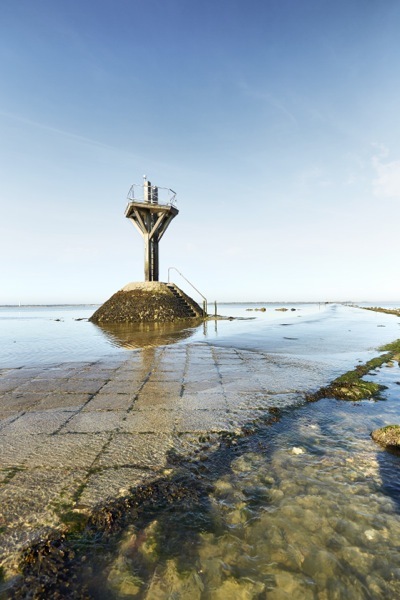 Depending on the time of tide conditions the Passage du Gois, you will be entered by the Gois or the Bridge. 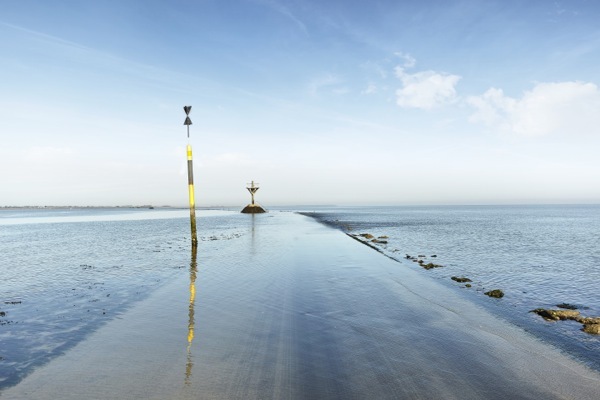 It takes six hours to ride the tide and again six hours to go down, knowing that the road du Gois (4.5 km) is passable only at low tide (2 hours before and two hours after low tide time). You can get the tide schedule in bars-tobaccos. 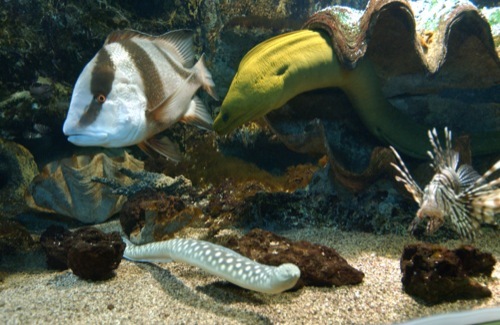 Attention Time tides calquant on the lunar calendar, it changes every day, so it is imperative to consult timetables. The Gois is itself a recreation destination since it is fishing on foot during low tide and collect clams, cockles, oysters. 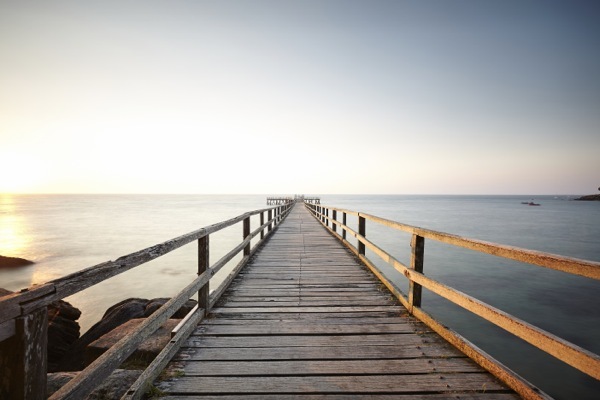 You will not be disappointed with a visit to the island of Noirmoutier, popular with tourists worldwide.